Rotary District 9350 covers a large part of the Southern African sub-continent, incorporating the whole of Angola and Namibia, and the western part of the Republic of South Africa. It covers an area of 2.4 million square kilometers reaching from the Angolan border in the north to the southern tip of Africa – a distance of 3 200 kilometers and is an average of 600 kilometers wide along its entire length. Hout Bay Rotary Club is one of nearly sixty clubs contributing to this powerful arm of Rotary activity in possibly the most beautiful part of Southern Africa, with its wide diversity of culture contributing to a vibrant lifestyle. Hout Bay is about thirty minutes drive from Cape Town, the “Mother City” for South Africa and the centre of its tourism. The Rotary District office is set up to handle the administrative affairs of the district. Past DG Peter Hugo and the hard working and helpful Muriel, Peter’s wife, give a wonderful service to all Rotarians in the district working from this office. 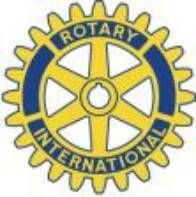 They also liaise with Rotary International contacts for the benefit of all. Extensive services for Rotarians are available on the Rotary District 9350 website www.rotary9350.org For further information, go to “Links”.